A major research study conducted over a span of twenty years links the use of marijuana to a wide range of adverse side-effects. Lead by Professor Wayne Hall, a leading expert on addiction in Britain and adviser to the World Health Organization (WHO), the major study identified a number of harmful effects resulting from marijuana use. The research study linked marijuana use to a broad range of harmful side-effects which include mental health problems, lowered academic attainment, lower birth-weight of children and impaired driving ability. Perhaps one of the more significant study findings was the link of marijuana to hard-drug use; and that its use can lead to harder drug use. The long-term study also found that marijuana can be highly addictive. Furthermore, the study linked the smoking of marijuana while pregnant to reduced birth weights, and long-term smoking-use was found to cause bronchitis, heart attacks and cancer. 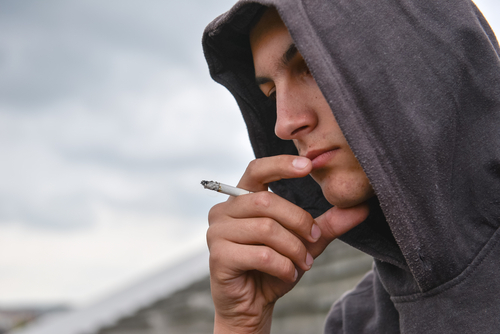 Another key finding by lead researcher Hall, regarded as an expert in addiction at King’s College, London, is that one-in-six teenagers who regularly smoke marijuana become dependent on the drug. One-in-ten adults who regularly use marijuana become dependent, as well. Marijuana doubles the risk of schizophrenia and psychosis. Marijuana-withdrawal symptoms include insomnia, anxiety, depression and loss of appetite. Driving a vehicle after smoking marijuana doubles the risk of a vehicular crash; and the risk is heightened if the user also had an alcoholic drink. There are as many teens smoking marijuana now as there are smoking cigarettes. With the study findings and results in mind, the following are 5 ways in which marijuana can be highly addictive. The study revealed that less than half of marijuana users remain off the drug for 6 months or more, post treatment. While the study found no marijuana user dying from overdose, it did reveal that long-term use of the drug could seriously damage the user’s mental health. Hall noted that “people can get into difficulties” with marijuana, especially with daily use over extended time. The research study found that a withdrawal syndrome is experienced by heavy marijuana users, as with heroin and alcohol. Hall notes that rates of recovery from marijuana dependence amongst individuals seeking treatment were found to be similar to recover rates for alcohol dependence. Misinformation regarding the dangers of marijuana belies its true risk factors. According to one expert who is with the Rethink Mental Illness charity in Britain, Mark Winstanley, marijuana is often wrongly viewed as a safe drug. But the study shows the clear link to schizophrenia and psychosis, especially for teens. Furthermore, Winstanley noted that smoking marijuana is commonly viewed as “nothing to get worked-up about”. And while the British government relaxed the law on marijuana in 2004, then reversed its decision in 2007, he notes the time and money would be better spent on educating youth as to the mental health risks of smoking marijuana.